Taught by Clinical Herbalist Melissa Casanova and guest star teachers, this unique herbal studies program focuses on producing plant medicines from start to finish: from seed to plant to finished herbal product. We will be working hands-on on the farm growing herbs, harvesting, and processing plants to make high-quality fresh and dry plant medicines. This program focuses on building a authentic hands on relationship with the plant spirit & medicine on a biodynamic farm in Mendocino County. 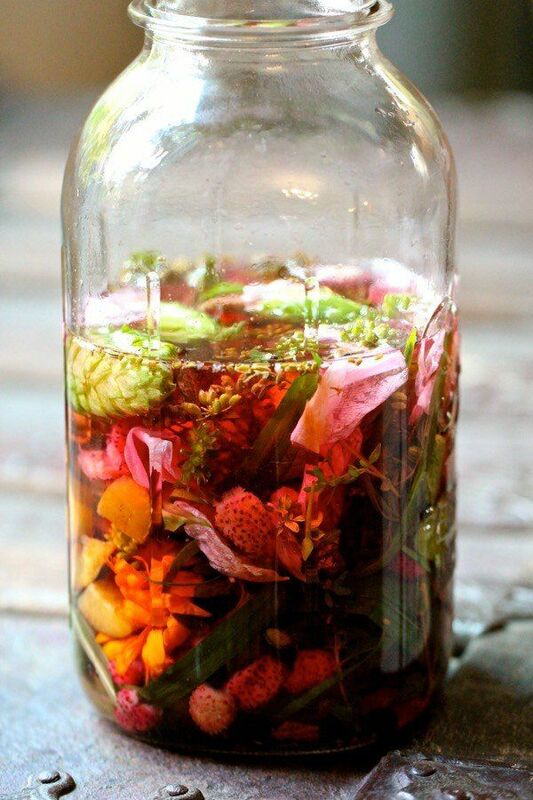 Throughout the course students will have the opportunity to build their own home apothecary of tinctures, teas, oils, creams, salves, and other herbal products created on the farm. They will also have the opportunity to propagate herb plants from which to build their own medicinal herb gardens. During the program students will take the first steps toward becoming herbal healers for themselves, their family, friends, community, and the Earth. They will learn how common imbalances can be successfully treated with local plant medicines through physical, emotional and spiritual pathways. The apprenticeship style of learning gives you access to teachers and clinicians who work in the field of herbal medicine and can help you to build a steady knowledge base. You will also learn the skills needed to confidently identify plants in the wild and make medicines for yourself, your family, and your friends. A diverse Materia Medica will be covered. We will spend time in direct communion with a small handful of these plants, getting to know them deeply through plant spirit work. The plants will become our lifelong friends and herb allies to guide us on our healing paths. Students will learn the basics of matching plants to people by formulating plant medicines based on the holistic evaluation of the constitutions of both plants and people. This is a 11 month apprenticeship program. about accomodations available for out of town students. Have you been looking for a way for your daughter to learn about the different cycles of her body, learn the importance of consent, set goals, stress management and sacred ritual? Sign her up for the 6 month Girls Full Moon Circle Series where she will learn creative and healthy ways of expressing her ever changing emotions, goals and dreams. This 6 month series will be filled with connection, crafts, laughter, music, knowledge and delicious snacks! We will fill each circle session with a mixture of education and fun with an additional sentimental craft for every day we meet. and discuss the differences between healthy and unhealthy ways to express them. Your daughters will learn supportive sisterhood with others around her while still holding space for herself. always dream big and believe in yourself as well as the importance of showing up and doing your best for yourself and others in all aspects of life. daughter (s) up. This meeting is a great chance to go over your needs and are a huge part of creating a natural conversation around honoring and respecting womens bodies and the natural cycles they go through. Melissa Casanova will be teaching Kundalini yoga & meditation throughout the series for small sequences of heart opening yoga poses to help teach your daughter ways to ground and center herself on her own with breathe and meditation. On our last day we will have a henna artist visit and offer henna to bless all of the lovely young ladies so they can have another reminder of the growth and connection they made throughout the last 6 months. Flash Tattoos, Stickers & More! Once you email to register, your daughters spot will be saved in the circle and you will receive a confirmation email that will include your payment link and a Emergency information sheet that must be signed and returned on the first day of the series.